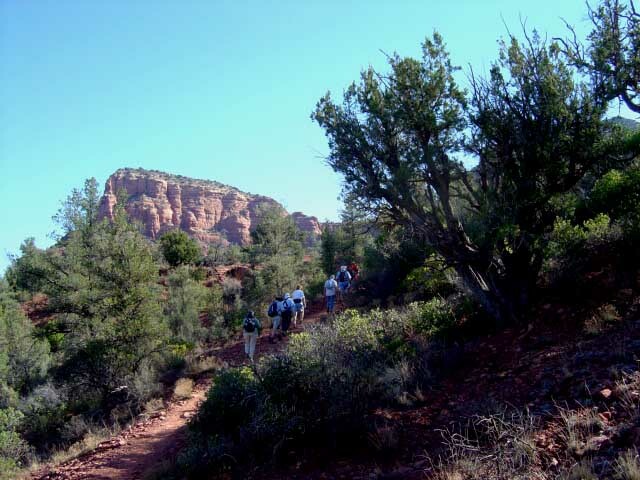 Trailhead Location: The parking area is located on SR 179, south of Sedona. Description: You start by hiking along the Bell Rock Pathway Trail heading south. At 0.3 miles you'll turn left on the Little Horse Trail. It's about 2 miles to Chicken Point. From Chicken Point, you can continue on the Broken Arrow Trail. 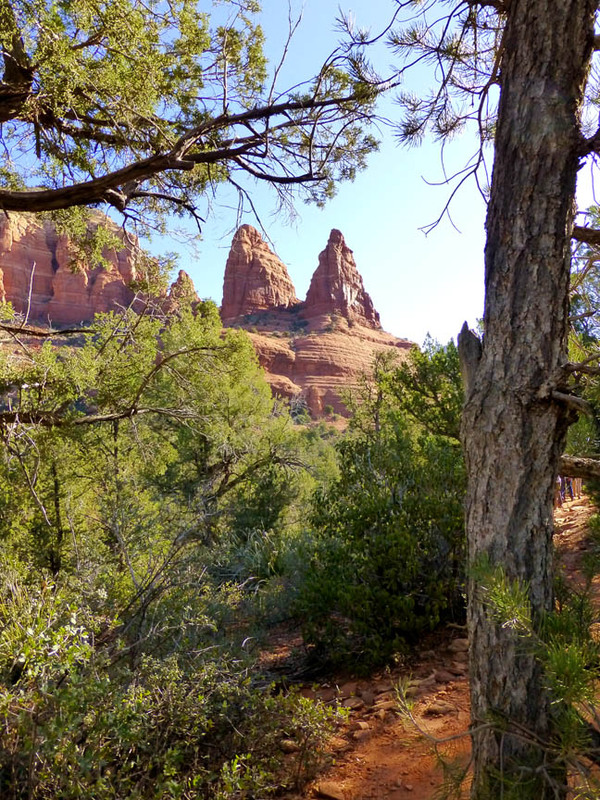 We have done this hike as a two car hike, parking one car at the Broken Arrow Trail Head off of Morgan Road and parking the other at the Little Horse Trailhead noted above. 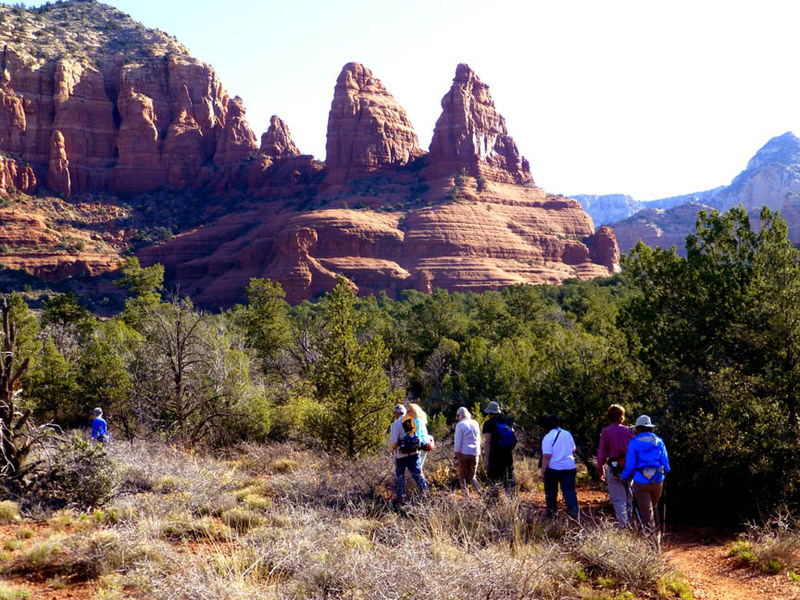 Excellent red rock views as you hike past Chicken Point, Submarine Rock and the Devil's Dining Room. At Chicken Point and Submarine Rock you'll likely encounter some Pink Jeeps as these are stops on their Broken Arrow Tour. There isn't much shade on this hike so if you hike in the Summer, take extra water.